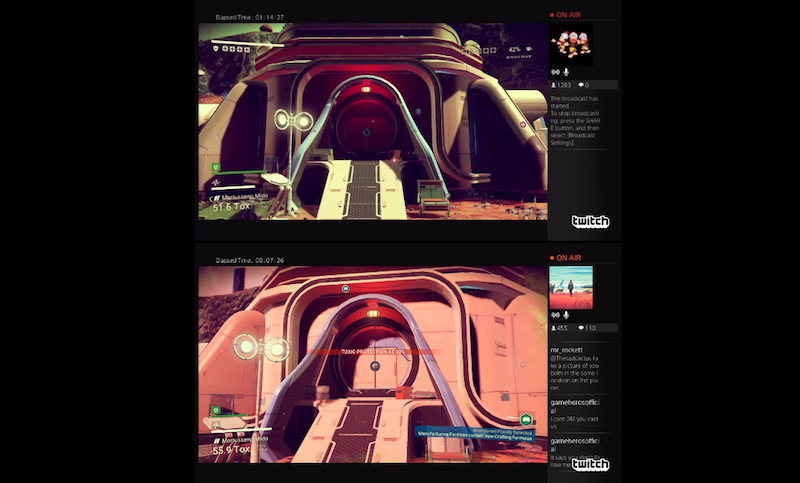 No Man’s Sky fans have long wondered whether it’s possible to see other players if they’re on the same planet. The answer, it appears, is no. Player TheSadCactus noticed this afternoon that he had landed on a planet discovered by a different player, named Psytokat. SadCactus sent his new buddy a message, and before long the two players were both on Twitch, streaming their progress as they tried to meet up in the same place at the same time to see what might happen. What happened was... nothing. As of post time they’re still experimenting, but it appears that different players are all located in different instances within the game (which is why you can pause). They haven’t been able to see each other on either planets or a neighboring space station. Observers had long believed that running into another player in No Man’s Sky, as unlikely as it may be, would allow you to see them. In a 2014 interview, designer Sean Murray made it seem as if players would run into one another while traveling. He has since discouraged people from focusing on multiplayer.